“I thank ASOSAP for the opportunity that you have given us and the time spent working in our community, Mexabaj. The community education has been a great blessing. Before ASOSAP came to the community, I didn’t consider personal hygiene important. This was normal for me. My parents didn’t teach me about personal hygiene. They required that we work hard in the fields, feed animals, and carry water. We didn’t have time to be educated or go to school. Above are Rosario Italia community members receiving their improved stoves and water filters. Many women join the community education group to receive a project like this. While projects are important to improve health, they are only a part of it. The other crucial part is education. For ASOSAP this picture also shows the intended result of this education. 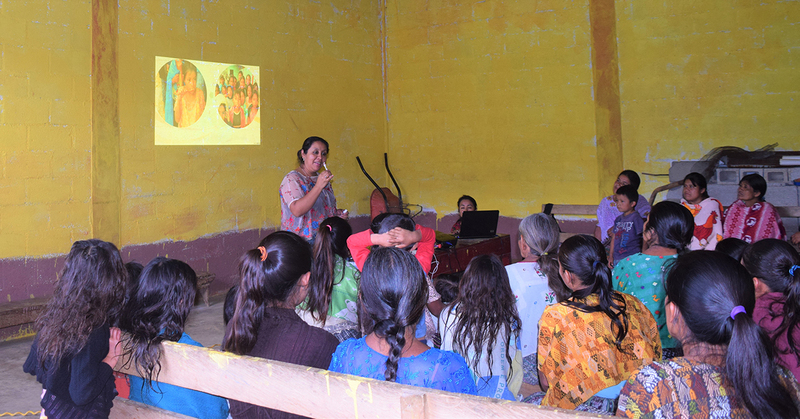 These families care about their health and now have a greater understanding that by having these projects, they will be preventing illnesses such as intestinal infections and lung diseases. Each parent is contributing to their own health, their children’s health, and the community’s health as a whole. By coming together like this, they are helping to secure a future full of hope and possibilities. Physical health is not the only focus of the education. The teaching of Bible principles is the other half of the education. ASOSAP desires that those in the communities live knowing that they were created with purpose by God, who loves them unconditionally, and desires to have a relationship with them. When one understands this, the way one goes about their life and how one interacts with others is drastically changed. This creates healthy communities on a whole new level. ASOSAP is currently educating in 4 communities. Mainly women attend; sometimes men are present. Education is received twice/month in each community. One session is health based, the other Biblical. Included are group activities that strengthen knowledge, form character, increase self-esteem, and encourage friendship with fellow women. Each community is in a different stage of their learning based on how many years of education they’ve had. The education runs for 5 years. Below are some quick facts about each community. Rosario Italia and Cerro Verde are in their 4th year of education. 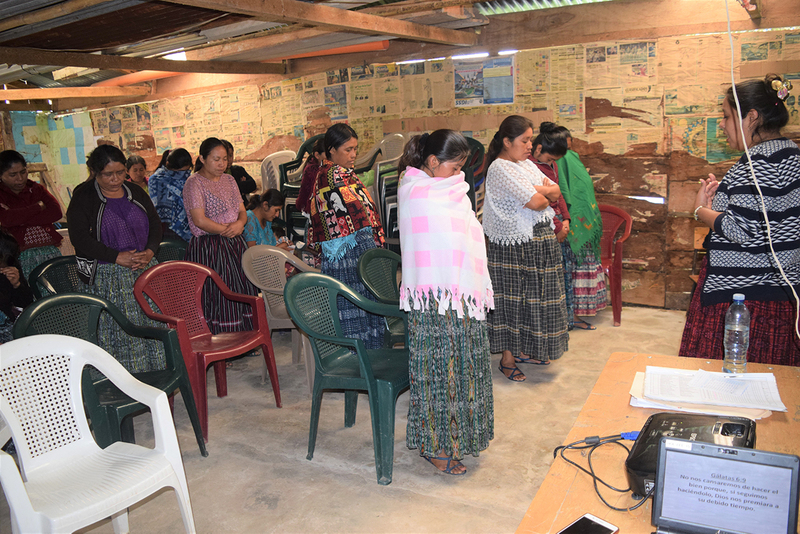 On average, 48 women attend in Rosario Italia and 27 women in Cerro Verde. Some health topics that they have learned about: female anatomy, puberty, menstruation, and pregnancy. Some Biblical principles that they have learned about: bearing good fruit, the role of a mother, God’s discipline, dwelling in Christ, and how to guide children. Mexabaj is in its 5th year of education. On average, 30 women attend. Some health topics that they have learned about: prenatal care and congenital abnormalities. Some Biblical principles that they have learned about: the role of a mother, guiding children in God’s ways, mothers praying for their children, the role of a father, and how one’s personality and character reflects in one’s children. Panhux is in its 2nd year of education. On average, 18 women attend. Some health topics that they have learned about: personal hygiene and oral health, environmental sanitation, types of parasites, and nutrition. Some Biblical principles that they have learned about: the promise of a Savior and the Holy Spirit. This education is transforming communities. We have noted that the quality of life of Pokomchi families has improved. There is greater hygiene and less illness. Couples have more privacy in their homes and their children have their own rooms. They have learned to how to take care of themselves and their families, and keep their homes organized and clean. They are learning God’s Word and teaching what they learn to their husbands and children. The mentality of husbands has changed. They now understand that their wives have the right to educate themselves and this contributes to the welfare of the family. Women from these communities can now be seen in the markets of San Cristobal, running their own businesses and contributing financially to their families. Families are practicing family planning and spacing pregnancies, instead of having child after child. As parents are taking responsibility in deciding if they can financially sustain children, we have seen a decrease in child malnutrition. When we first do education in a community, the women are shy, unsure, and distrusting. With time the women blossom and trust us. They now are enthusiastically asking when the next education sessions are. Seeing these changes and the women’s desire to learn spurs ASOSAP to continue educating and dreaming of the communities’ futures. We will leave you with one more testimony and gratitude for the ASOSAP community education program from a male education participant. Thank you for your support and joining with us in educating communities!